The main victim of the scale and ambition is the pacing, the film feels sluggish for the first forty-five minutes or so as it sets up (or more accurately reminds you of) the groundwork for its final act. There’s a lot to get through here and sometimes it feels a little bit like “And now this!”, but looking at it in the context of the whole it’s difficult to see where you could make any trimmings. Certainly without large chunks of it the emotional weight of the endings (and this rivals The Return of the King in the number of endings) would be diminished. However, once it gets going it moves at enviable turn of speed, building towards its conclusion and continuously upping the sense of what’s at stake along the way. The ending does not surprise, but the confidence with which it is handled does. This is a hundred million dollar film with the ending of a twenty million studio quirk. Asking for a ten minute trim on a film of this length with this many ideas feels a little insulting, and I’m aware it’s a usual complaint from me. The scale is reflected in the depth of the cast, few films have half the number of recognisable stars (and not merely character actors) as this, and nearly everyone is given their moment to shine. Nolan probably realised that he would be unable to bottle lightning again in the same way as he did with Ledger, instead he returns the focus to Bale (who does nearly all of the heavy lifting in terms of emotional investment) and the principal character. Bale seems more comfortable than before with the role, as if he finally has the emotional investment in the character(s) and in the early scenes there are the flashes of humour that we saw in the first film, the inappropriate asides of someone who doesn’t quite understand societal norms. The film does not fall back on the “Batman is the real personality” trope of the earlier films, here arguing that it’s something he needs to work through on his path to forgiving himself. Whilst it wasn’t originally envisioned as a trilogy it’s satisfying to see how well constructed the character arc is over the three films, with a pleasing symmetry (and a new way of viewing the first two films) created by the scripts (subtle) alterations to the (established) canon. Bruce / Batman is no longer purely a mirror of the other characters, instead each is an aspect of what he is or could be / have been. The established supporting cast of Caine, Freeman & Oldman – Oldman perhaps edging it with an arc that questions just how honest a cop he’s been all along. Caine & Freeman are already elder statesman, but Oldman seems to be becoming more interesting the older he gets. That the three of them share one of the best scenes of the film is no surprise, they’ve become as much part of the landscape as Bale. The surprise is the late additions to the roster. 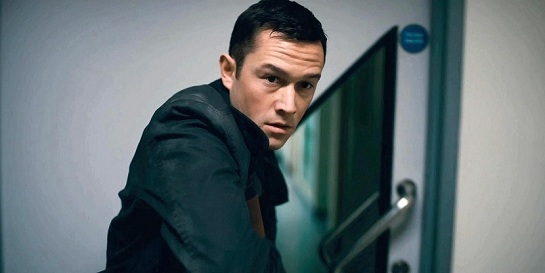 Joseph Gordan-Levitt threatens to steal the film from nearly everyone and come the end it’s his story that feels the most complete – how much longer true leading man status can evade him given the strength of this remains to be seen. Anne Hathaway makes a superb Selina Kyle (never referred to as Catwoman – that would be far too vulgar), more than just another part of the cycle of villains and a key part of many of the arcs of the story. She never falls into the token strong female role, and it’s her that feels the most human amongst the panoply of weirdo’s that the film trots out. Hardy has the most demanding role, without the ability to use his face (or arguably voice) to emote, he instead relies on his body language to carry his role. It’s far more complex that it originally appears, and it’s to his and Nolan’s credit that one of the least interesting of the stock villains is given a new lease of life – especially given the grande finale that is planned. The finale is where it all takes shape, the final hour making sense of the title and capping off the trilogy by bringing it all back to the beginning. Nolan’s most consistent aspect has been Gotham (despite its ever changing appearance) as a city teetering on the edge of chaos. Here that chaos is given full vent, but instead of hiding it in the shadows he instead broadens it to include the daylight, de-saturating the look to a city on the edge of an apocalypse. Gone is the techno camera glide of the first two, it all feels closer, more immediate. Even the score feels less polished, more guttural than before (although it retains the audio clues of the first film). Despite all of this it never feels oppressive or exhausting, the violence is toned down from the second film (certainly the hints at off screen savagery are less explicit) and nearer to the first film. This is the only aspect where one feels the interfering hand of a studio keen to avoid the criticism last time. In all, Nolan & Co. have delivered a supreme aspect of the studio blockbuster, full of thunder and delivering spectacle in spades. That it does so with wit, intelligence and a lack of normal convention is to be applauded – yes, not all the ideas work, yes, sometimes it feels as if it’s one thing too many – but it’s rare to say “There was too much” rather than “There was barely anything”. It’s all carried out with a degree of confidence that is inspiring, and certainly is a sign of what Hollywood is capable of producing if it is willing to take risks with an established franchise. In an ideal world, all major releases would be like this.